Pinterest is taking the female population by storm and businesses are beginning to embrace the social media platform. An active presence on Pinterest can lead to quickly improved rankings on search engines, and many businesses are gaining an unexpected return on investment, particularly with service industries and ecommerce sites. Utilize Pinterest as a platform to demonstrate tips, tricks, and information to your followers that are business focused. Use Pinterest as an opportunity to showcase “how to’s” or an insider look at your business. 2: Make your website Pin-friendly. Users can “pin” items to their personal boards by using a downloadable “Pin It” widget. To encourage consumers to engage with your company’s content, Entrepreneur.com suggests having a “Pin It” button on all content on your site, similar to the buttons that enable users to share content on Facebook or tweet it on Twitter. While it takes more time, the experts agree that branding the photos that are uploaded to Pinterest is worth the added effort. Add watermarks and logos to pins. In descriptions, add your business name, website address, physical address, phone number, and email address. Be sure that if you “repin” onto your board, that you abide by copyright rules – just as you would hope another business would do for you. Many people are ditching social media platforms like Facebook and Twitter for Instagram. According to comScore, as of October 2013, there were over 35 million selfies posted on Instagram and the average Instagram user spent 257 minutes accessing Instagram, compared to 169.9 minutes spent on Twitter. Businesses can utilize Instagram in a number of ways. Below are some tips for optimizing Instagram. 1. Complete your profile. Make sure you fill in all the sections on your profile. Leave a link to your Facebook page, twitter page, and website. Your prospects will want to check out your various profiles to find out more about your services/products. This will lead to more followers on your other platforms. 2. Show off your products. Everyone loves to browse products, so use Instagram to allow your followers to do some window-shopping. Having your followers interested and engaged will fully maximize the potential of Instagram. See how brands are harnessing the power of Instagram here. 3. Introduce your employees. Humanize your brand by using Instagram to introduce your fans to the people behind your company. It’s a great way to show your the personality of your brand. 4. Take your followers with you. If you are going to a trade-show or conference, use that opportunity to take your fans with you by sharing interesting photographs. Your fans might not be able to attend, but through you, they will be better able to share the experience. 5. Take relevant photos. Whether they are photos of your company, employees, or current events, make certain that they are relevant and current. Every photo you take isn’t going to fit with the identity of your company. Make sure that you are taking and posting the right type of pictures that accurately reflect your brand. Let’s face it. 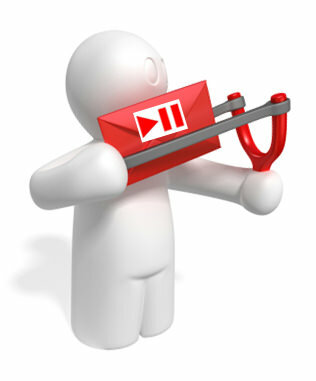 Creating content for blogs, eblasts, and newsletters is very time-consuming. But, with the wealth of information on the internet, you don’t have to create it all by yourself. Don’t plagiarize and submit it as if you wrote it yourself. You should always cite your sources. And actually, the more you cite sources, the more credible you, your blog, your e-blast, and your newsletter become. Think of content curation this way. A curator of a museum is the person in charge of overseeing the art collections – how the art is presented, where it is presented, where it is stored, how it is displayed, and how it may be interpreted. A digital curator pulls information together relevant to his or her business audience and displays them across social media platforms. In a small sense, if you retweet or share a status on social media, you are curating content. But where do you find content to curate? Here are just a few places to start. Paper.li is awesome. With Paper.li, you can publish your own virtual newspaper which pulls in information from various social media platforms. Paper.li is a content curation service that helps you find and share great content in your own visually appealing online newspaper. For example, you could decide that to include a selection of tweets you send in a newspaper. Subscribers and/or twitter users automatically get a copy of this online newspaper. Flipboard is awesome as well. Millions of people use Flipboard to read and collect the news they care about, curating their favorite stories into their own magazines on any topic imaginable. 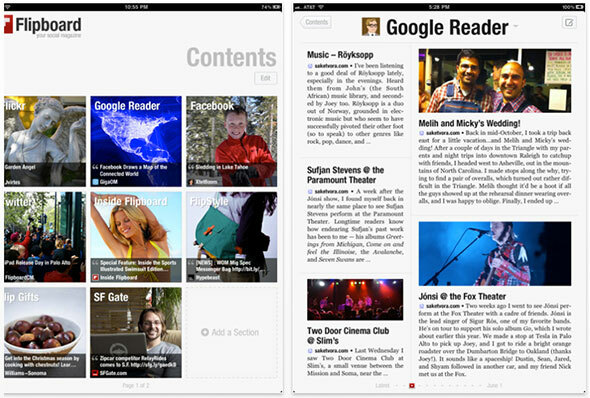 Flipboard is a social-network aggregation, magazine-format application software for Android and iOS. It collects the content of social media and other websites and presents it in magazine format and allows users to “flip” through their social-networking feeds and feeds from websites that have partnered with the company. Twitter is an interesting, virtual place. Celebrities, like Justin Bieber, have millions of followers waiting with bated breath to see just what the Bieb ate for breakfast. People, in random places all over the world, have broken global news before any news organizations (protests in Egypt and the Boston Marathon). Even the news media sites Twitter as a credible source. Maybe you don’t have millions of followers on Twitter, but there are a few tricks of the trade that can grow your Twitter following that are both ethical and follow Best Practices. Here are just a few of them. Studies have shown that the more you tweet, the more followers you’re likely to have (users who have written under 1000 tweets typically have fewer than 100 followers, while those who have tweeted more than 10,000 times usually have followings of between 1000-5000 people). Learn about your demographic and respond to people that you are following using the @replies. That way, it shows up in their feeds and your feed. Be sure to respond to Tweets that mention you or are directed at you. It is vital. In social media, if a business does not respond to a customer, that customer’s impression of the business goes down dramatically, and then there is an emotional response linked to that lack of interaction. Don’t neglect those reaching out to you (whether it is positive or negative). Tweeting is not the same as posting statuses on Facebook or LinkedIn. It is short. It is editorial. Learn the basics of Twitter. Then, harness the types of content that appeal to your audience and just dive in: tweet, tweet, tweet. The more you Tweet, the more comfortable you will be Tweeting, resulting in your audience being more comfortable with you. 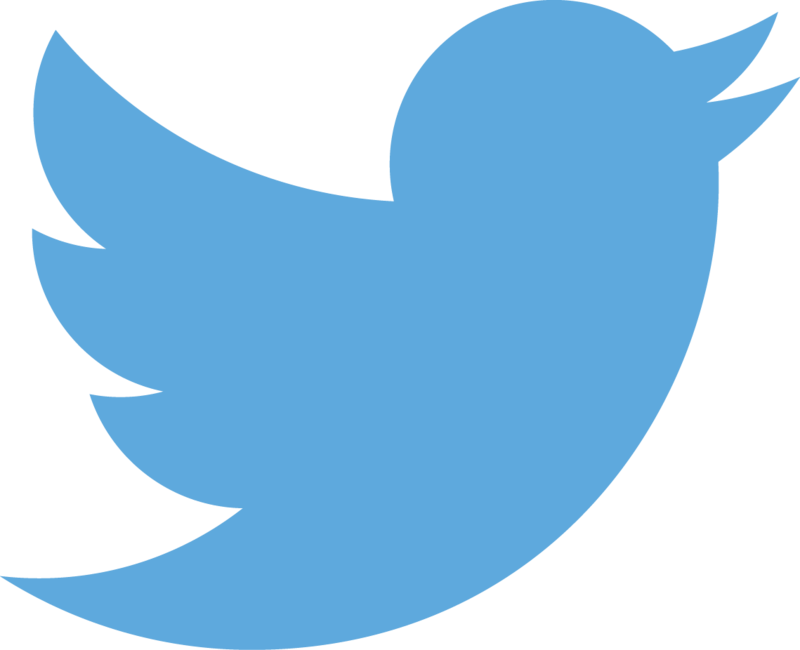 Twitter allows you to go into your email accounts and see if your contacts are on Twitter. Then, it allows you to follow those that are on Twitter and invite those that are not on Twitter. Follow your friends and contacts. They will see you following them, and will likely follow you. Don’t forget to follow your followers. You may not be friends or contacts with all who are following you. By following your followers, more engagement can occur thus increasing your Twitter following in general. In the #Discover section of your Twitter account (in the top left header), Twitter recommends who you should follow. If you are trying to gain a following, you must also follow businesses, groups, news organizations, and people of interest. Always use Twitter in an ethical manor. Once it’s out there, it’s out there. It is very difficult to reign Tweets back in, especially when people Retweet and share. Always keep your online reputation in mind and use Best Practices at all times. Add your Twitter profile name to your email signatures (on all your email accounts), on all your social media accounts, on your business cards, on QR codes, and on all marketing materials. 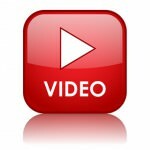 Follow Miceli Productions on Twitter at httpss://twitter.com/MProVideo. One of the first impressions you make on LinkedIn is with your Profile photo. But what exactly does your profile photo say about you? On a professional networking site, how you present yourself could affect the opportunities that may (or may not) come your way particularly if you haven’t met in person. A recent study conducted by TheLadders found that human resource personnel and recruiters spend 19% of their time on your online profile looking at your picture. If a picture is worth a thousand words, what does your LinkedIn profile photo say about you? Do you look credible, professional, and confident? Or silly with a duck-faced selfie? Look at your profile photo. Would you hire you? Barbara Pachter outlines some guidelines for professional profile photos in her book, “The Essentials of Business Etiquette.” Here are some of the basics to bring your professional profile photo up to speed. Use a photo that looks like you right now. We all want to post photos of our best selves, but sometimes, we post photos from 10 or 20 years ago. You may have changed your hair color, or maybe you no longer have hair, or maybe you have a beard now, or maybe you have gained or lost 20lbs. Your current profile photo should be a current photo of you – what you look like now. You don’t want to show up to a job interview or a networking meeting looking vastly different than your profile photo. You want to be recognized. This is a professional profile picture of you. If you post a picture with a friend or a collegue, it may not be clear which person in the photo is you. Steer clear of photos with friends, partners, children, pets, or inanimate objects. Just you. In focus. Be sure you are wearing professional clothing, facing forward and are smiling (at least a little). Photos of you at the beach in swimwear, drinking at the bar wearing club clothes, or participating in recreational activities in sweats and sneakers is not appropriate for a professional profile photo. Be sure your clothing is appropriate for business and work, and always have photos of you facing (and looking forward). Steer clear of photos where you are looking over to the side pondering life or photos that resemble mug shots. Be dressed professionally, look forward confidently, and use a pleasant facial expression. Consider having professional headshots made. Professional photographers that specialize in headshots know just how to help you present your best self. Having a professional headshot also conveys that you are indeed the professional that you say you are. These headshots will be clean, will look like you, and will be given to you in a number of sizes and formats for you to use. You can then take this headshot and use it on your various social media sites, as your profile for your email contacts, and more. Consider using this professional headshot on your business cards too. 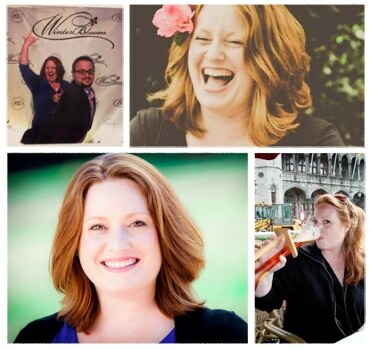 This is Tara Van Geons, Miceli Productions’ Digital Marketing Consultant. Which version would you hire? 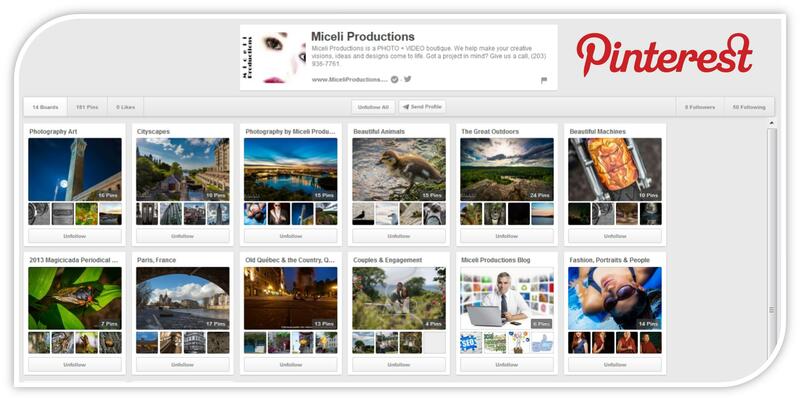 Miceli Productions Photography, Product Photos and more! We all know what authentic engagement is. 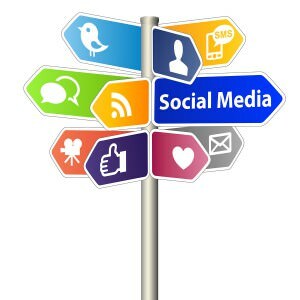 We all know that it is important for our business in the realm of social media. But how does a business or brand “authentically engage” their client base? Consider how you engage with businesses and brands. What drives you to engage? Did you “like” the post? Did you become a “fan” of a page? Did you read the hyperlinked article? Did you share a photo? Did you retweet? Did you hashtag the business? Here are just a few ideas to authentically engage your audience and organically begin to increase your client base. Solicit your audience to post photographs of themselves on their Facebook page (tagging you) using your product in an interesting way or in the most interesting place. 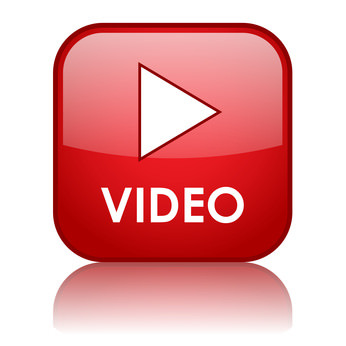 You can also request short videos of people using your products as well. Think “Where’s Waldo?” or the Travelocity Gnome or “Where in the world is Carmen Sandiego?” The more participation and the more your business is tagged in photographs, the more your client base will organically grow. On a large scale, Dunkin Donuts ran a social media campaign with the “Keep It Coolata” Campaign. Consider requesting guest posts from your client base. You may gain new followers simply by having some new voices on your blog. 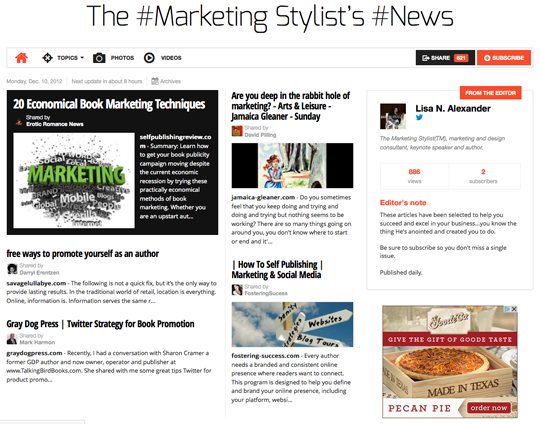 Cross-market the blog posts, hashtagging the guest writer and hyperlinking to the blog post on all your social media networks. Send out “hints” and “Guess Who’s the Guest” teasers on social media, eblasts, and email signatures. Friends of the guest writers will see the posts that their friends have been tagged in, will want to read the posts, and thus, your business is organically brought to the forefront. It isn’t always about business. 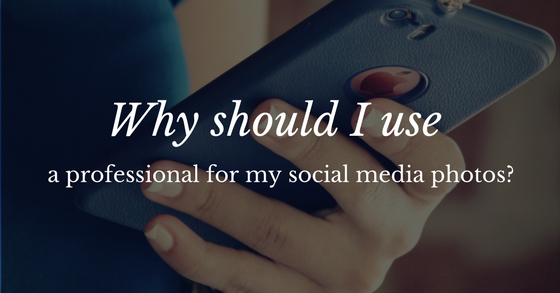 It’s about getting personal and being truly social in real time. Find creative ways to mix business with pleasure, and you will become memorable to your client base. If you are going to a trade show, send out teasers that you will be there and what city you will be in. Ask questions about the city itself. Where’s the best food truck in Austin? Where is the World’s Best Cup of Coffee in NYC? What is a must-see in Salisbury, North Carolina? While you are at the tradeshow itself, hashtag yourself in statuses and in photos (Facebook or Instagram or other social media you use), and take lots of pictures at the event with people and hashtag or tag EVERYONE in these photos. You will then appear on your social media networks, but on others’ as well. What if it wasn’t just about business? What if you were simply going to a concert? What if your client base was going too? Engage your client base to take real time photos and encourage them to tag you. Or, on Sundays, send out statuses and tweets about watching football and have your client base tag you in photos of them watching games. You know those Facebook pictures that everyone takes of their feet near the ocean? What if you encouraged people to take those photos, only it was of their feet and the football game?